Inspired by nature, Night Owl Paper Goods' real wood wedding suites are designed to celebrate your unique style. 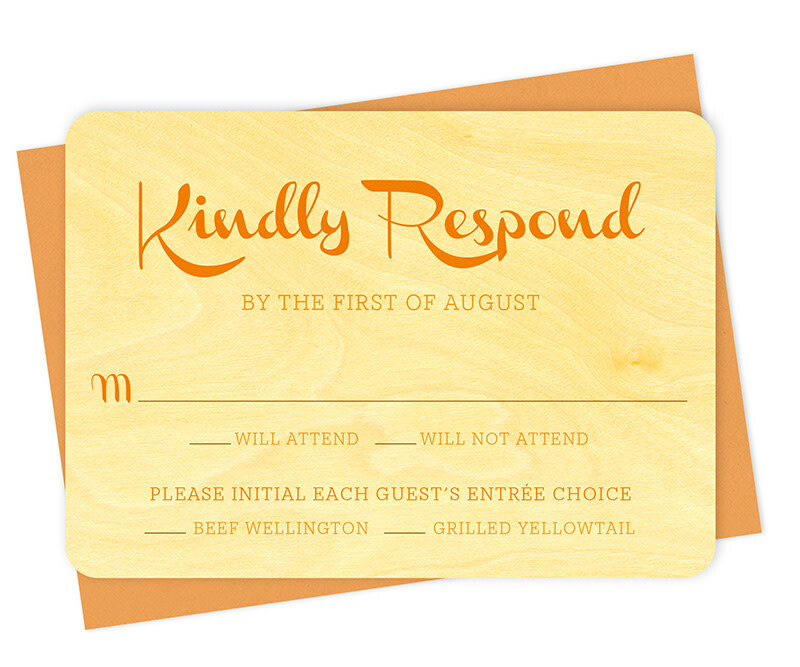 Unlike traditional paper cards, no two wood reply cards are exactly alike. 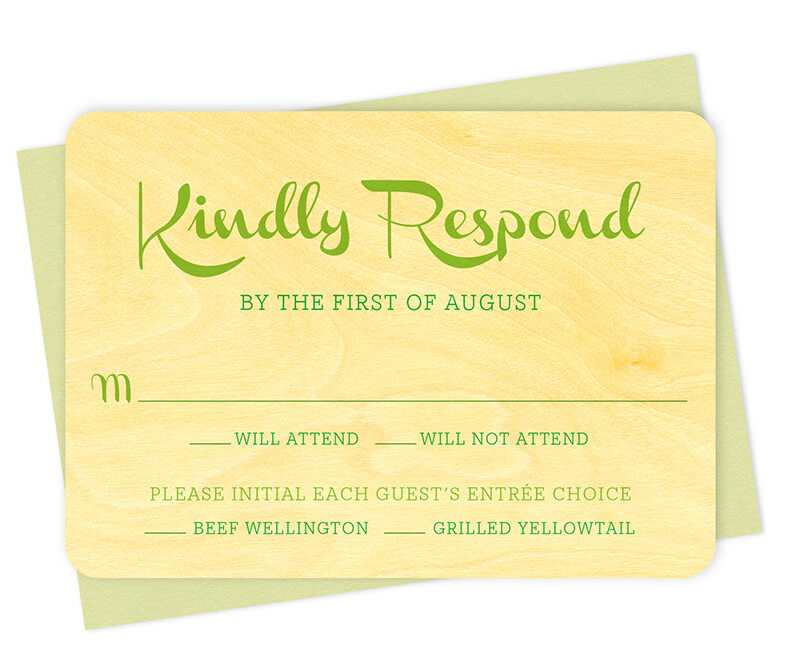 Variations within the wood grain make your special announcement truly one-of-a-kind! 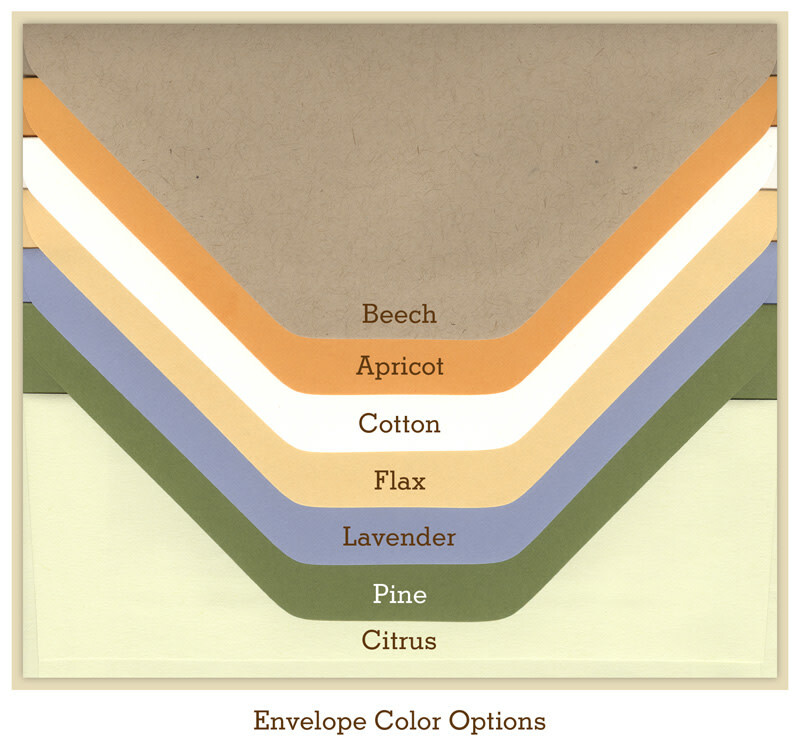 a beautiful and budget-friendly way to complement to your invitations. Select a Quantity (minimum 15)15 $6.00 ea. 20 $4.95 ea. 25 $4.30 ea. 30 $3.91 ea. 35 $3.59 ea. 40 $3.35 ea. 45 $3.15 ea. 50 $3.00 ea. 55 $3.00 ea. 60 $2.99 ea. 65 $2.99 ea. 70 $2.99 ea. 75 $2.97 ea. 80 $2.97 ea. 85 $2.97 ea. 90 $2.97 ea. 95 $2.97 ea. 100 $2.94 ea. 105 $2.94 ea. 110 $2.94 ea. 115 $2.94 ea. 120 $2.94 ea. 125 $2.91 ea. 130 $2.91 ea. 135 $2.91 ea. 140 $2.91 ea. 145 $2.91 ea. 150 $2.85 ea. 155 $2.85 ea. 160 $2.85 ea. 165 $2.85 ea. 170 $2.85 ea. 175 $2.82 ea. 180 $2.82 ea. 185 $2.82 ea. 190 $2.82 ea. 195 $2.82 ea. 200 $2.74 ea. 205 $2.74 ea. 210 $2.74 ea. 215 $2.74 ea. 220 $2.74 ea. 225 $2.71 ea. 230 $2.71 ea. 235 $2.71 ea. 240 $2.71 ea. 245 $2.71 ea. 250 $2.59 ea. 255 $2.59 ea. 260 $2.59 ea. 265 $2.59 ea. 270 $2.59 ea. 275 $2.54 ea. 280 $2.54 ea. 285 $2.54 ea. 290 $2.54 ea. 295 $2.54 ea. 300 $2.44 ea. 305 $2.44 ea. 310 $2.44 ea. 315 $2.44 ea. 320 $2.44 ea. 325 $2.41 ea. 330 $2.41 ea. 335 $2.41 ea. 340 $2.41 ea. 345 $2.41 ea. 350 $2.29 ea. 355 $2.29 ea. 360 $2.29 ea. 365 $2.29 ea. 370 $2.29 ea. 375 $2.27 ea. 380 $2.27 ea. 385 $2.27 ea. 390 $2.27 ea. 395 $2.27 ea. 400 $2.18 ea. 405 $2.18 ea. 410 $2.18 ea. 415 $2.18 ea. 420 $2.18 ea. 425 $2.16 ea. 430 $2.16 ea. 435 $2.16 ea. 440 $2.16 ea. 445 $2.16 ea. 450 $2.07 ea. 455 $2.07 ea. 460 $2.07 ea. 465 $2.07 ea. 470 $2.07 ea. 475 $2.05 ea. 480 $2.05 ea. 485 $2.05 ea. 490 $2.05 ea. 495 $2.05 ea. 500 $1.97 ea. Add 10 more and save $0.01 on each!